Just three short years into his acting career, Gianniotti has appeared in a long list of Canadian TV series and will make his big screen debut in 2016. 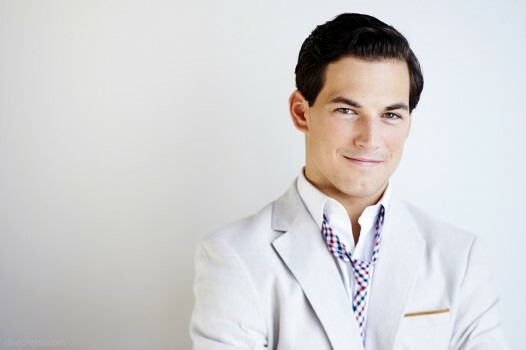 After first seeing Giacomo Gianniotti audition, Emmy-winning casting director Stephanie Gorin immediately picked up the phone: “This guy’s going to be a film star,” she told his agent, Alicia Jeffery. A growing consensus seems to back her instinct. Just three short years into his career, Gianniotti is an alumnus of the Canadian Film Centre, mega-producer Shonda Rhimes is a fan and he’ll soon debut on the big screen. The question now isn’t if Gianniotti will break, it seems, but when. Gianniotti graduated from Humber College’s theatre program in 2012, completely focused on a stage career. “It’s not that I wasn’t interested in film and TV, I just didn’t feel it was my thing,” said Gianniotti. His mind quickly changed, though, when Jeffery signed him to The Characters Talent Agency right out of school and quickly started getting him work. “He details every moment of his performance, and his work is so specific and intricate,” Jeffery explains. Others seemed to agree. He landed a recurring role on Shaftesbury’s Murdoch Mysteries in 2013 and soon after entered into CFC’s prestigious Actors Conservatory, where the full scope of his potential became apparent. But his true breakthrough came in 2014 as the character Lord Julien in the Toronto-shot CW series Reign. Not long after, Jeffery recounts, her phone was ringing off the hook with inquiries from prospective managers. The role helped him land a supporting role in the Forecast Pictures-, Solofilms- and Trinity Race-produced feature Race, directed by Stephen Hopkins (House of Lies, Californication), due for a 2016 release. In turn, Giannotti — who has also starred in the Warner Bros.’ series Selfie (2014), Shaftesbury’s Backpackers (2015) and miniseries The Secret Life of Marilyn Monroe (2015) — says the film’s profile got him into previously inaccessible auditions. One of those rooms contained Shonda Rhimes, the producer and showrunner behind series such as Grey’s Anatomy, Scandal and How to Get Away with Murder. She was so impressed, says Jeffery, that she held his role for him while Gianniotti considered other, larger roles on smaller productions. In the end he took the compliment, and the part, on Grey’s. Gorin, who cast Gianniotti in Reign and Backpackers, says the qualities that have landed him so many parts so quickly on the small screen will transfer well to features. “There is a depth as well as a simplicity to his performance. He doesn’t overact: everything is simple, connected, real. I think that will translate really well to the big screen,” she said. Even from the earliest stages of his career, Gianniotti was wary of the dangers of being type-cast as merely handsome and roguish and has strategically sought to build as varied a catalogue of work as possible. “With Giacomo it’s all about the role,” said Jeffery, who notes that he will usually pass on an opportunity if he feels he has played a similar role before. As such, Gianniotti formed his own production company earlier this year. “There was a time when the actor could just be the actor, but I think that train has left the station: you really have to be multi-faceted and creating work for yourself in a lot of different ways,” Gianniotti said. Partnering with New Yorker Jonathan Keltz, who he met on the set of Reign, the pair’s goal is for the prodco to showcase up-and-coming Canadian talent – both in front of and behind the camera. Having already decided upon a script for their first feature, the project is set to go into pre-production next summer. A keen musician as well, Gianniotti plans to release some music next year and to take on a stage role once filming wraps on the L.A.-shot Grey’s. “I can’t sit still. I just have to keep moving,” he said of his workaholic approach. At this stage, not too many people can argue with that.